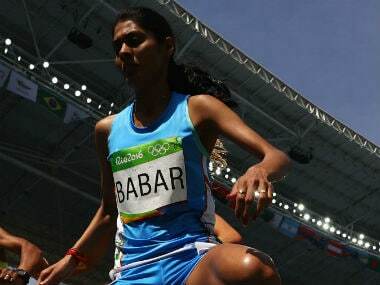 Mumbai: Maharashtra Government on Tuesday announced a cash reward of Rs 75 lakh to steeplechase specialist from the state Lalita Babar, who finished a creditable 10th at the Rio Olympics 2016, and Rs 50 lakh to bronze medallist wrestler Sakshi Malik. Chief Minister Devendra Fadnavis, who announced these cash rewards, said the five athletes from Maharashtra who took part in the Olympic Games will get Rs 50 lakh each. 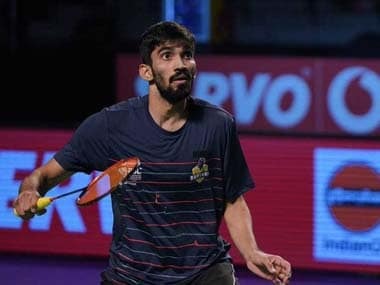 He also gave a cash award of Rs 75 lakh to Olympic silver medallist in women's badminton singles PV Sindhu and Rs 25 lakh to her coach P Gopichand. "The Government of Maharashtra is happy to announce today we have given a cash award of Rs 75 lakh to Sindhu and Rs 25 lakh to her coach (Gopichand). "We would also like to announce a cash reward of Rs 50 lakh to Sakshi Malik and Rs 25 lakh to her coach. Lalita Babar, the girl who made Maharashtra proud, will get a cash reward of Rs 75 lakh, while her coach will get Rs 25 lakh," Fadnavis announced after felicitating Sindhu and Gopichand. The event was organised by the Maharashtra Badminton Association. "For the sportpersons who represented India in the (Rio) Olympics and were from Maharashtra, we would like to give a cash award of Rs 50 lakh each to them. These sportpersons are Ayonika Paul, Prarthana Thombare, Dattu Bhonkanal, Devraj Walmiki and Kavita Raut," the Chief Minister said. 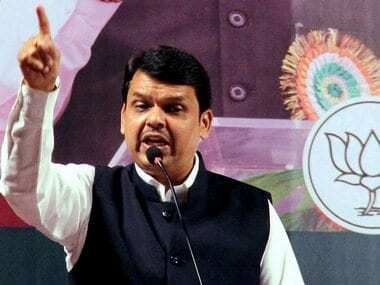 Fadnavis said, "We need to make young generations understand the importance of being on playgrounds and of sports and need to spread more awareness." "It is time to introspect. We discuss more, but very little has been done in last 60 years. We need to bring back sports on our priority list," the Chief Minister added. He said youth has immense potential and only need inspiration and that performance should not be measured by medals but by the number of sports-persons created.